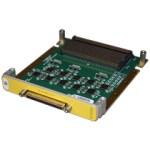 The high performance WILDSTAR™ Digital I/O Mezzanine Cards are flexible and perform high-speed, general-purpose I/O transfers between WILDSTAR motherboards and other components. 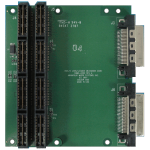 These cards are able to use industry-standard connectors and cables, which allow fast transmission of data to industry-standard devices. The WILDSTAR™ LVDS/2.5V-LVCMOS Mezzanine Card performs high-speed, general-purpose I/O transfers between WILDSTAR motherboards and other components. Compatible with WILDSTAR 7, WILDSTAR 6, and WILDSTAR A5 mainboards. 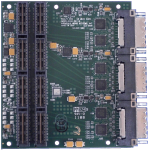 The WILDSTAR™ Universal 6 Gigabit Serial CD Mezzanine Cards are designed to be a flexible, high-speed, multi-connector interface to WILDSTAR mainboards. These cards are able to use industry-standard connectors and cables, which allow fast transmission of data to industry-standard devices. Compatible with WILDSTAR 6 mainboards.